This is a bit of an overdue one! 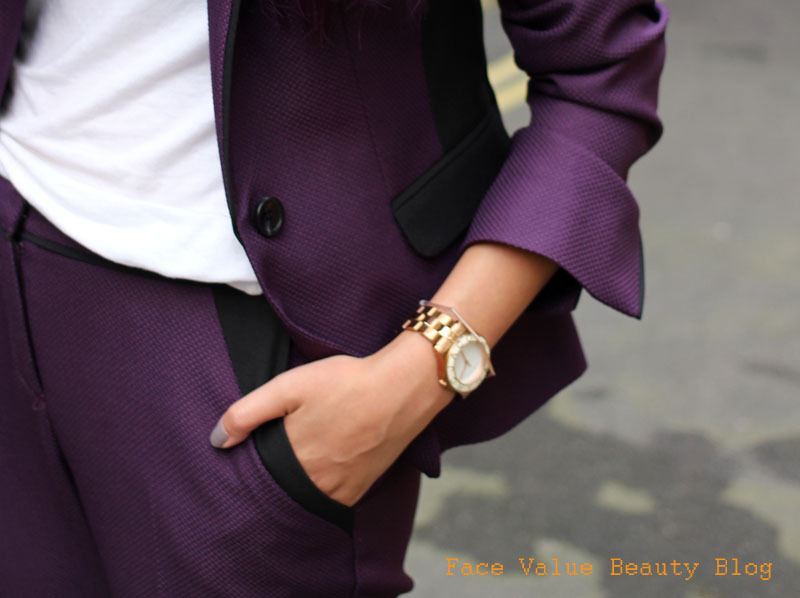 FINALLY, the one for the Fashion fans who have been asking for more outfit details on the purple suit I wore for London Fashion Week. Given my corporate finance background, you can understand why I’m very comfortable in a suit. Being a bit obsessive about stuff that matches, I have about 25 blazers in my wardrobe, many of which have matching shorts and bottoms. HEAVEN. Being honest, the website photo doesn’t do it any justice. The website photo looks a bit cheap and tacky, but thankfully free returns made me take a gamble and it paid off! Whilst I could have paired this with heels and a clutch, I decided to keep it casual and boyish by pairing with some new Primark trainers (for £12 they are IDEAL Adidas Stan Smith copies!!) and a chunky Marc Jacobs watch. This would make a great Xmas party outfit too, teamed with a silky cami and heels. Check out my party LBD alternative – the female tuxedo- here. I’m also hugely crushing on these two tailored beauties from Topshop. Aren’t they perfect for this Winter?? What do YOU think? 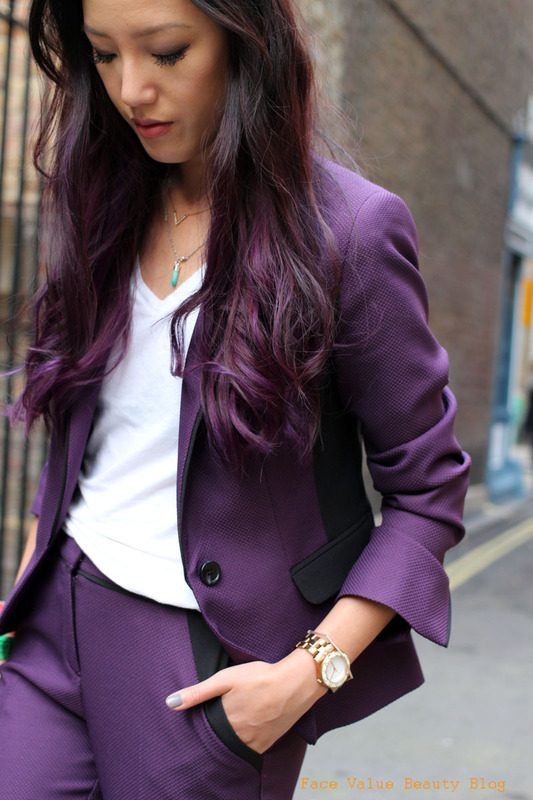 Would you wear a coloured suit? Would you buy fashion from your supermarket? Previous Post New Dove DermaSpa Body Range – What’s Best For Winter Skin?